Produce standout business documents with glossy, photo-quality color. HP ColorSphere technology delivers consistent, professional color. Keep business productivity high - avoid wasted time and supplies with reliable original HP toner cartridges. Features Produce standout business documents and marketing materials using original HP toner cartridges with HP ColorSphere technology. Get consistent print shop-quality results on a wide range of laser papers designed for professional office printing. Keep printing costs low while maintaining productivity. 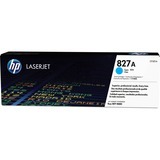 HP Color LaserJet toner cartridges deliver consistent uninterrupted printing. These cartridges are designed for exceptional quality so you avoid wasted supplies and expensive delays. You can also track cartridge use and reorder easily with intelligence built into Original HP toner cartridges. Automatic seal removal makes for a quick and easy installation. PriceBat.ca is 100% Canadian Own premier price comparison shopping site. Easy to search & compare prices of computer products, electronics and games at Canada online stores.